Nigeria has the third highest number of poor people in the world, after China and India. With 28% of the population aged between 12 and 14 years, Sub-Saharan Africa is the most youthful region in the world. The high rate of unemployment, environmental degradation, dislocation within the traditional economy and unfair revenue allocation are some of the factors that have given rise to youth unrest in the Niger Delta region. 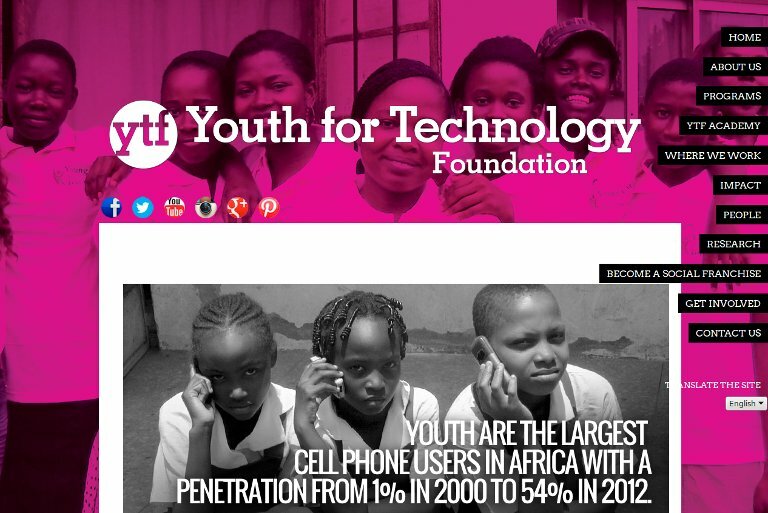 Youth for Technology Foundation (YTF), founded by Njideka U.Harry at age 25 while working for Microsoft, works with local actors including government, academia, private sector and other grassroots organizations to ensure that marginalized youth have the opportunity to improve their standard of living. Since 2001, YTF has worked with disadvantaged youth living in developing countries to improve their lives and expand economic opportunities. The learning environment at their Academy includes a curriculum that is tailored to rural life, encourages a participatory approach, promotes creativity, and emphasizes critical thinking and problem solving. YTF Academy programs are TechKids, TechTeens, TechCommunities and TechEnhancement. In addition to teaching computer skills like word processing, spreadsheet fundamentals, and database management, the curriculum also encourages youth to think about issues that affect their communities and ways in which technology can be applied to solve these issues. When YTF receives requests to replicate its model it conducts a due diligence process to determine if the initiator has the capacity to implement YTF Academy in an area where there is no presence. A representative from the organization is invited to YTF s pioneer community technology and learning center, the Owerri Digital Village in Nigeria as an apprentice. Upon returning to their local community, the community member forms an advisory committee consisting of local government personnel, teachers and administration to help inform best practices, target specific academic needs of children, and help ensure relevant content and instructional techniques. YTF works with the partner to determine the funding model given the needs and local constraints. Since the launch of YTF Academy in 2001, 40% of program graduate have been employed by small businesses and are earning three times the average salary of a non-YTF Academy graduate. Another 38% are self-employed. YTF believes it is important to increase the employability of youth whilst the organization whilst facilitating structural changes to create jobs. YTF has the firm commitment from 75% of its corporate partners to hire YTF Academy graduates provided they meet expectations during the course of their internship.